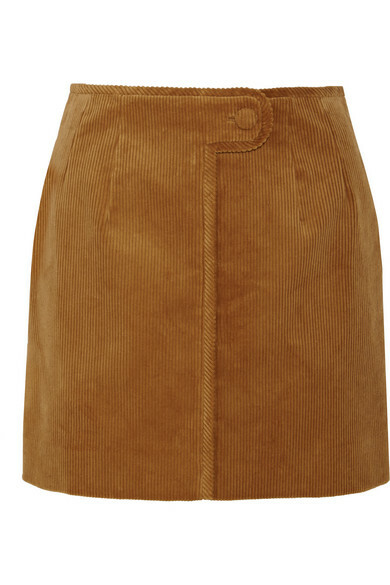 Topshop Unique's 'Otley' skirt is cut from plush camel cotton-corduroy and detailed with a buttoned tab at the front for a chic retro look. 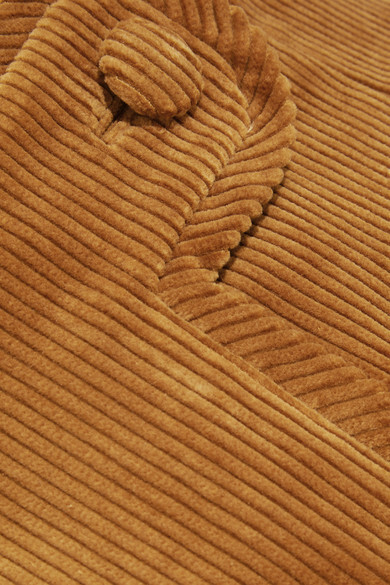 This textured piece is darted at the waist and lined in lustrous satin. Style yours with the matching blazer. Shown here with: Gianvito Rossi Loafers, Victoria Beckham Clutch, Jennifer Fisher Ring, Isabel Marant Cuff, Chloé Cuff.